Mike Deni still thinks life is beautiful. When you hit rock bottom, sometimes your only option is to claw your way out. 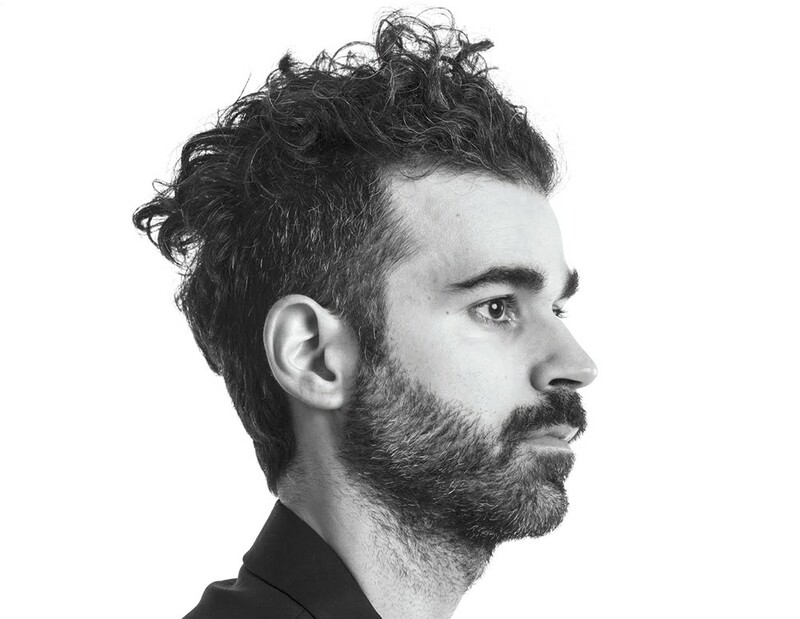 For Mike Deni, the powerhouse behind San Francisco-based, melancholic, synth-heavy indie-rock band Geographer, that meant finding something to strive for after realizing that life was essentially meaningless, a journey he explores on the band's latest release, Ghost Modern. The album picks up where its predecessor, Myth, left off, after Deni has come to terms with life's lack of purpose and uncovered the lies he says our culture is built upon, including the idea that if you get what you want, you'll be happy. The dark period that spurred Myth began as Deni, who says he was full of optimism about life in high school, got older and realized there were no overarching questions or answers to consider. "It just got bigger and bigger, blacker and blacker," he says. "It took over more of my life." This, paired with the unexpected deaths of his father and sister within a year of each other, pushed Deni even closer to the edge. "That's when I lost my zest for life," he says. "That really killed my joy, and I've been trying to get back to it ever since. The closest I've come is being onstage and seeing people reacting to my work, and to who I am and who I'm trying to be." It was around this time that Deni moved from New Jersey to California and began focusing on music, which he initially used as a coping mechanism, to help rebuild his life and figure out his next move. "Today, it's not everybody," Deni says with a laugh. "But a lot of people. I feel like I've gotten a couple rungs up in that dream." Pushing his band even closer is Ghost Modern, which chronicles a breakthrough Deni had at the urging of his best friend, who challenged him to see beyond his nihilistic view of the world.